when would you like the first months mix sent? A delcious subscription for any food lover. Each month, we will surprise you or your friend with a different flavour baking mix jar. 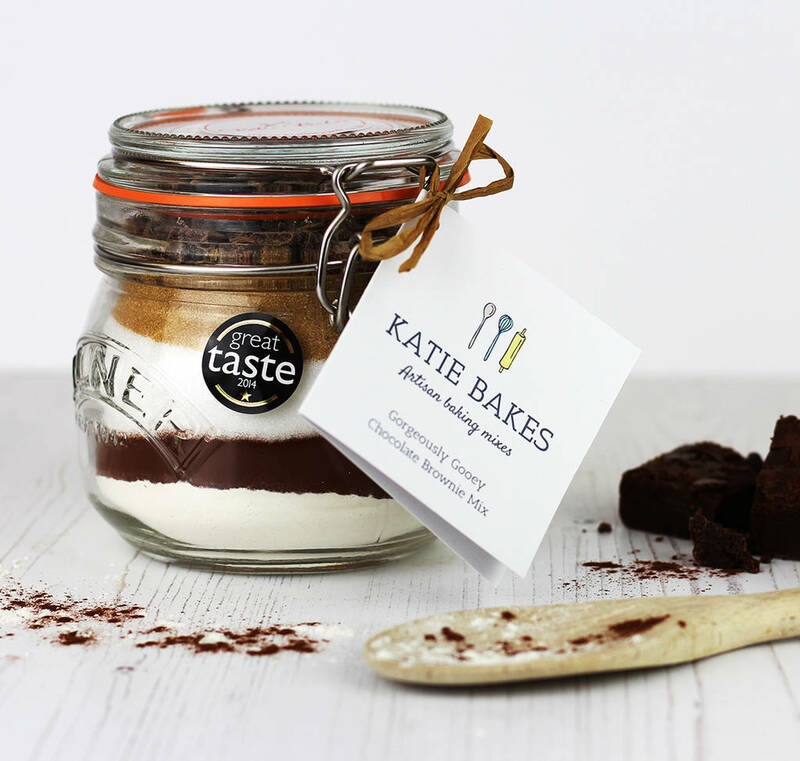 With this 3 month Baking Mix Jar of the Month subscription, the recipient will receive a delicious foolproof baking mix in a Kilner jar every month, for three months and who doesn't love a sweet treat? 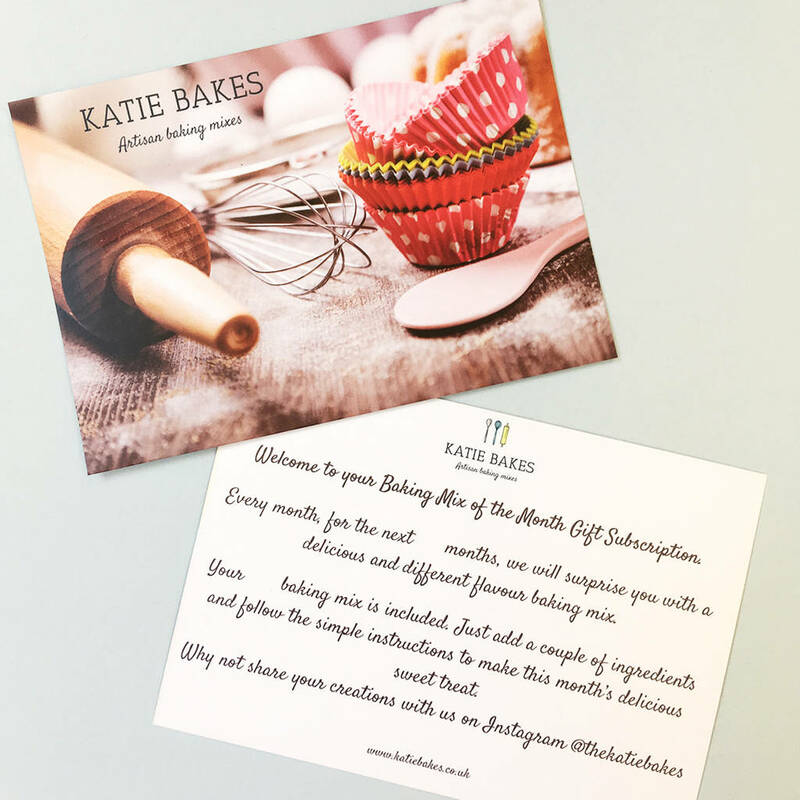 With each mix they will also receive a "Baking Mix of the Month Gift Subscription" postcard providing details of the subscription and how it works and which month they are recieving. 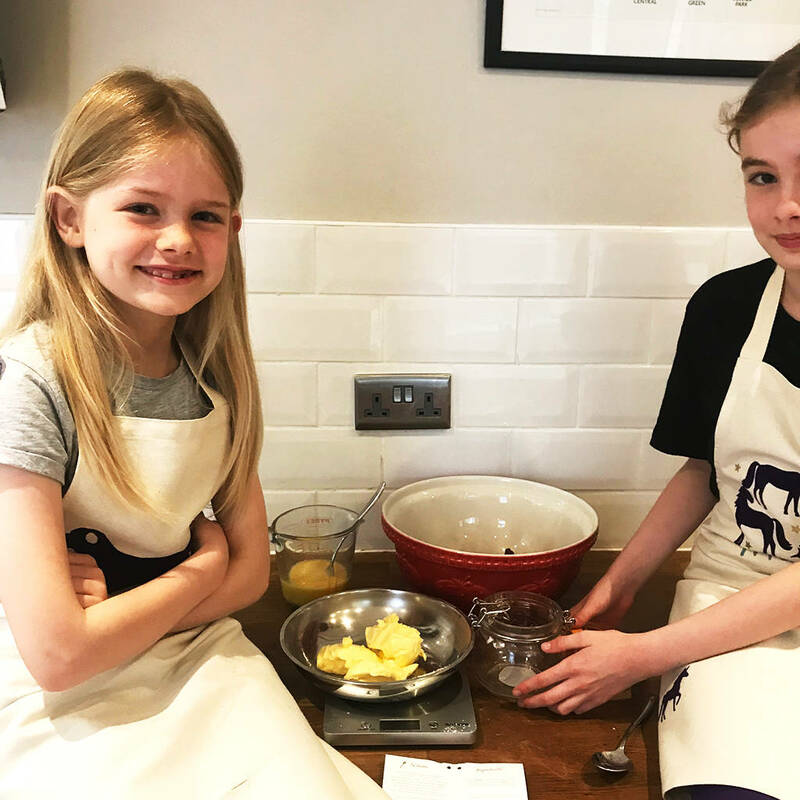 Our mixes make great gifts for anyone of any age and are guaranteed to be fun, foolproof and produce delicious results by just following the very simple instructions. You will just need to add eggs and butter. 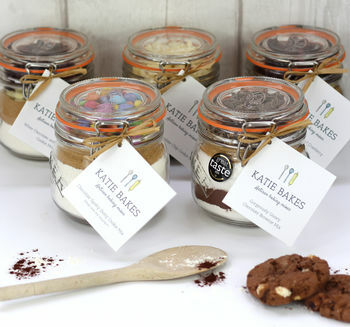 Flavours will be chosen by us here at Katie Bakes HQ, but if you have any special requests/likes or disliles, add these in the comments box when you check out and we will do our best to tailor your food gift where we can assuming the we have those mixes available at the time. 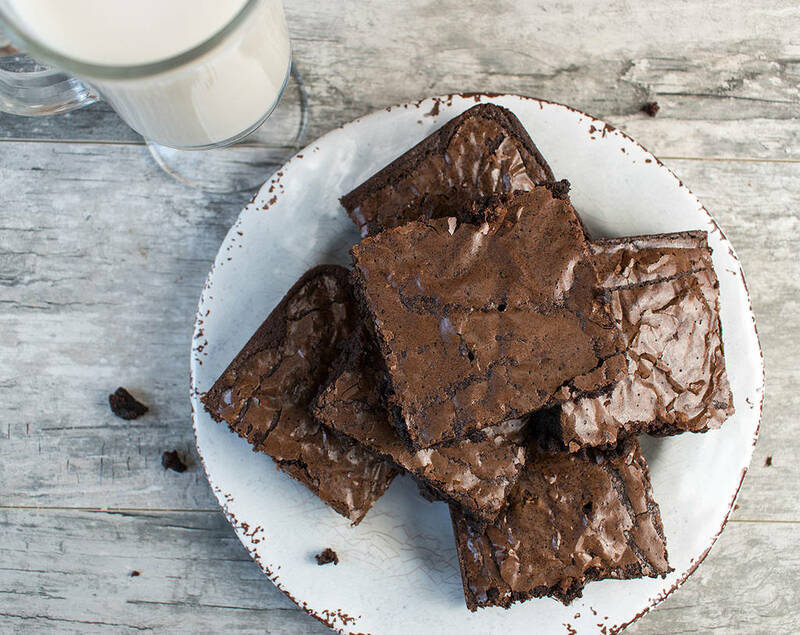 Please note however that all our mixes do contain gluten and many contain milk and soya. Usually we will send the first mix within a couple of days of receiving your order but if you want to delay the dispatch of the first delivery please tell us when you would like us to send it out. We are unable to guarantee a specific delivery date unless express delivery is chosen. 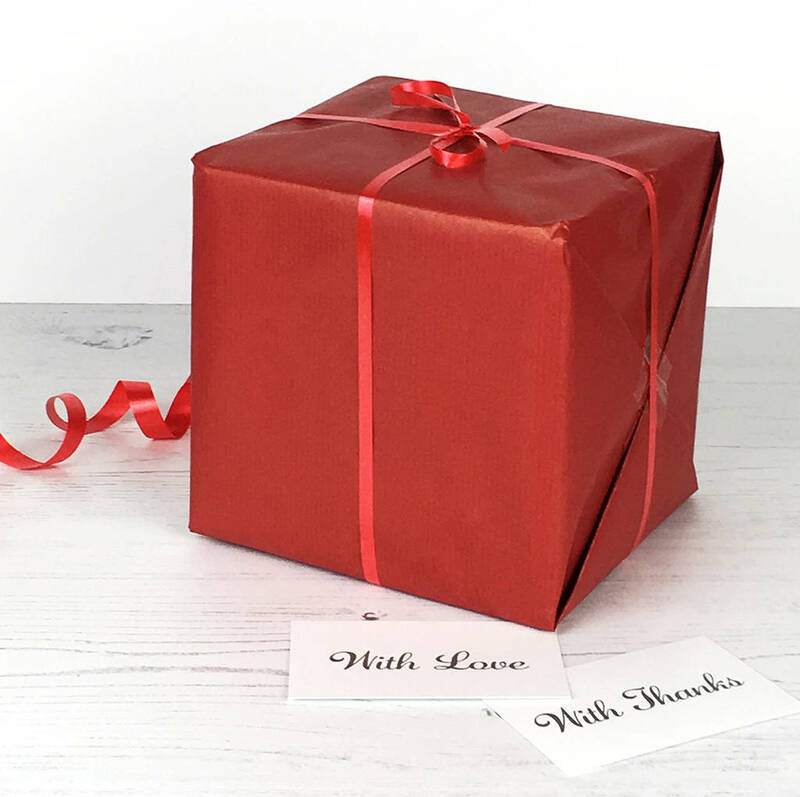 If you would like the first mix gift wrapped, you can select this option. We also offer the option to add a gift note to your order at no additional cost. Allergens: Wheat. Some mixes may contain milk and soya.